The practice of sanctuary—giving refuge to the threatened, vulnerable stranger—may be universal among humans. From primate populations to ancient religious traditions to the modern legal institution of asylum, anthropologist Linda Rabben explores the long history of sanctuary and analyzes modern asylum policies in North America, Europe, and elsewhere, contrasting them with the role that courageous individuals and organizations have played in offering refuge to survivors of torture, persecution, and discrimination. 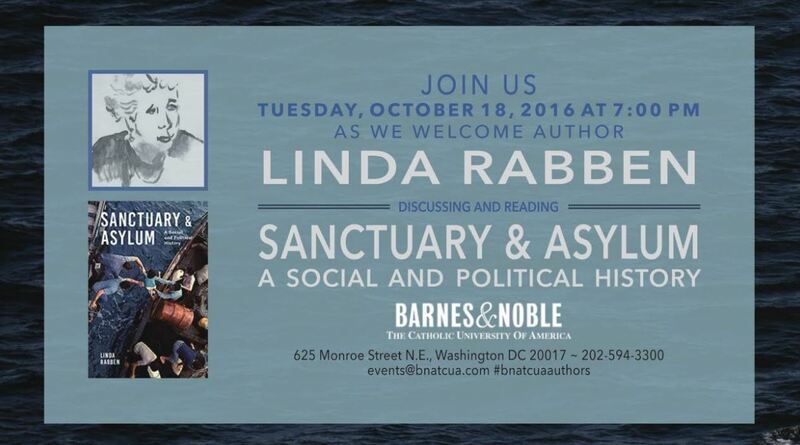 Rabben gives close attention to the mid-2010s refugee crisis in Europe and to Central Americans seeking asylum in the United States. This wide-ranging, timely, and carefully documented account draws on Rabben’s experiences as a human rights advocate as well as her training as an anthropologist. Sanctuary and Asylum will help citizens, professionals, and policy makers take informed and compassionate action. This event is free and open to all. For more information, please contact events@bnatcua.com.